The Affordable Care Act (ACA) is working and is an improvement from what we had before. The healthcare law (ACA), ensures that up to 105 million Americans cannot be subject to lifetime caps by their health insurance plans. Because of the law, up to 17 million children with pre-existing conditions cannot be denied coverage or charged more. Specifically in Iowa, the law has allowed over 800,000 Iowans to receive at least one preventive service at no out-of-pocket cost. 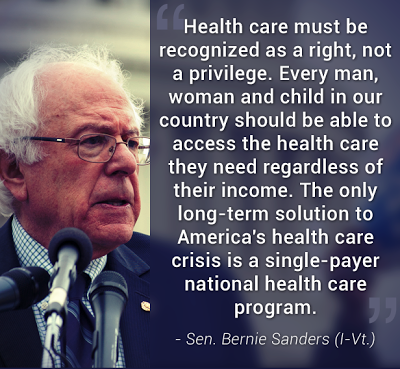 I support Senate Bernie Sanders’ plan for Medicare-for-all single-payer health care system. The Medicare-for-all or “Universal health care” plan consists of only one payer (a single-payer public agency) to pay for medical care. There is only one health plan for everyone that provides all medically-necessary care, and it would eliminate the unnecessary administrative activities. “Single-payer health care,” simply means that only one public (insurance) agency – that is publicly accountable and people pay into a single fund – that pays for medical bills. An equitable tax structure, providing that the wealthy pay their fair share into a national healthcare system. Union/company benefit plans would be maintained if desired, however only to provide extras other than the medically necessary care that would be covered for everyone. Funding dedicated to ensuring that transitional benefits would be available for insurance industry and administrative workers who may be displaced. “Health care” is a phrase which has traditionally referred to medical treatment. “Health insurance” is a financial arrangement that collects funds to pay for medical treatment. Even with health insurance, out-of-pocket costs of health care – including copayments and deductibles – are soaring. As we all know, for-profit health insurance is expensive and inefficient. For example, look at United Healthcare, they reported profits of more than $10 billion in 2014. That is just one year. Now, if you took that money and put it back into the system, you could provide medical coverage to more than one million people, and that’s even at our nation’s excessive rates. Executives of those companies have been big winners. Mark Bertolini, CEO of Aetna (the nation’s third largest health insurer) had a total compensation of $30.7 million in 2013, which was 131% higher than in 2012. Health Plan Week, a trade publication, said the CEO’s of the 11 largest for-profit companies were rewarded with compensation packages last year  totaling greater than $125 million. Those companies include Aetna, Centene, Cigna, Health Net, Humana, Molina, Triple-S Management Corporation, UnitedHealth Group, Universal American, Wellcare, and WellPoint (Center for Public Integrity). Basically, we are getting much less for our money. We pay more on a single person basis for care than our peers in other nations. Personally, living with cystinosis, I stack up medical bills quickly. 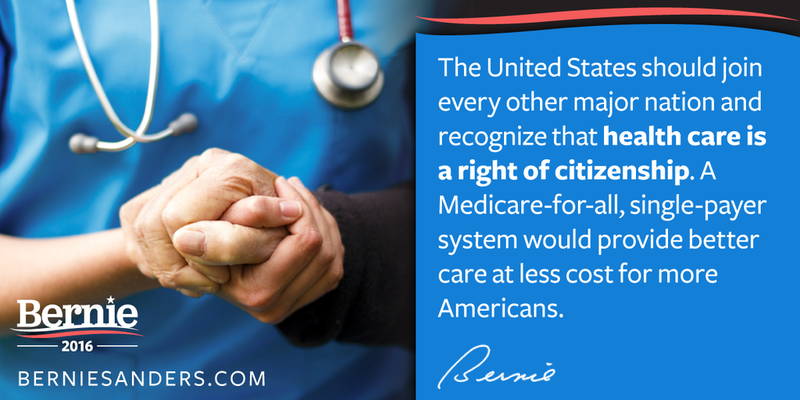 However, I am on Medicare and Medicaid, which pays for all of those costs. I am frightened when I think about my future and how in the world I would be able to afford employer health insurance. The employer health insurance would need to pay for all of my medications and medical expenses. One of my medications alone costs $55,000 for a 30 day supply. That is outrageous! Look at the “free market” in health care. There are only 11 major health insurance companies, and many of the others are owned by those 11. One might even consider those health insurance markets “highly concentrated” under the Justice Department, according to a 2009 study. Look at this, the government can and has managed healthcare delivery efficiently. It is called Medicare. 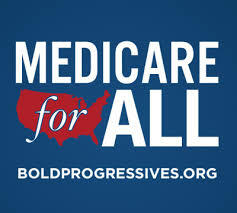 It is a moral imperative that the United States join the rest of the developed world in guaranteeing all Americans the human right of health care by adopting the Medicare-for-all single-payer health care plan. 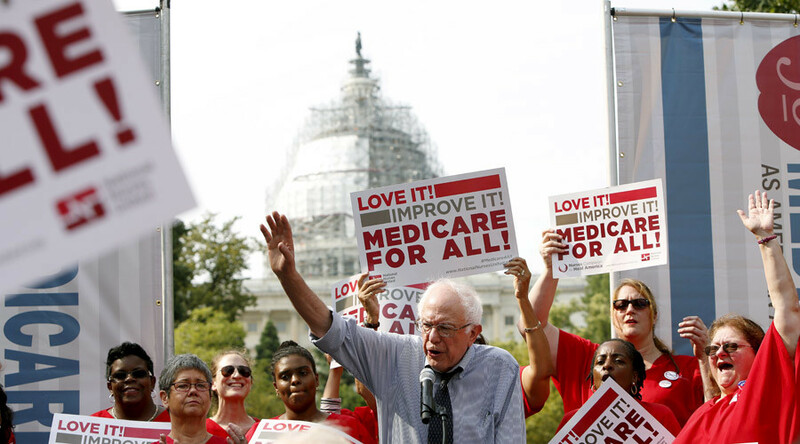 It’s time for a Medicare-for-all single-payer health care system!